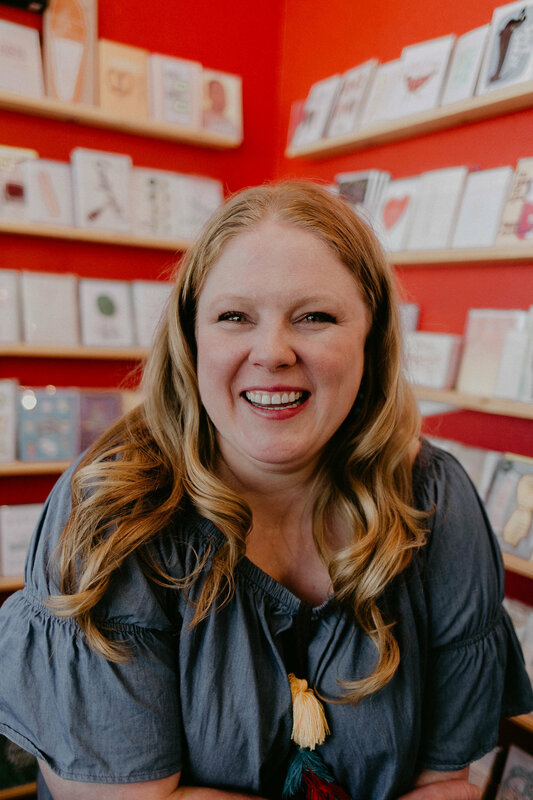 The thought of owning a stationery store was always been a dream for Kandice, while she was attending Texas Tech, she worked at Calligraphy Etc. (the store's previous name), and loved helping people select invitations for events in their lives - weddings, baby showers, birthday parties, and retirements. After a few years she had the opportunity of a lifetime to buy the business and it has been a whirlwind ever since! When she changed the name to Barque, they incorporated more of the things that Kandice loves - like dogs and cooking - and the store continues to evolve to best meet the needs of their customers. The product mix changes on a regular basis, so anytime you are shopping for a gift or a special occasion make sure you check out all of the creative invitations, dog treats, candles, and Jon Hart bags that can be hot stamped in store. West Texas has some really great and supportive folks, and the vast majority are very kind hearted and considerate. We have had customers send us flowers, bring us dessert, or offer to bring lunch when we're too busy to leave! They are amazing.